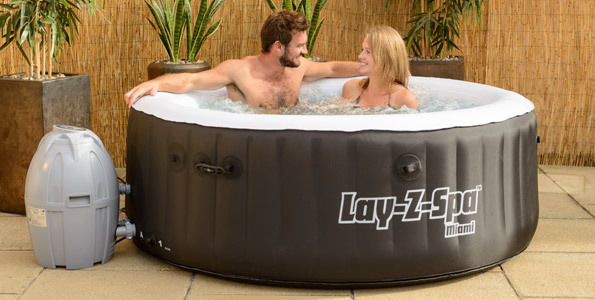 UK DIY store Homebase sell the ever popular Lay-Z-Spa range. Some models can be picked up in-store but it is worth checking online before going in, and if in stock they can also be ordered online with home delivery. Which one you buy depends on your needs and requirements, each is a slightly different size allowing a different number of people to enjoy at one time. 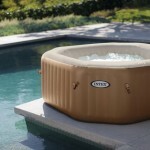 The Monaco inflatable hot tub is the largest in the range holding up to 8 adults. While the Miami is the smallest and also the cheapest and is ideal for couples. Perfect for up to 4 adults and our number 1 choice! 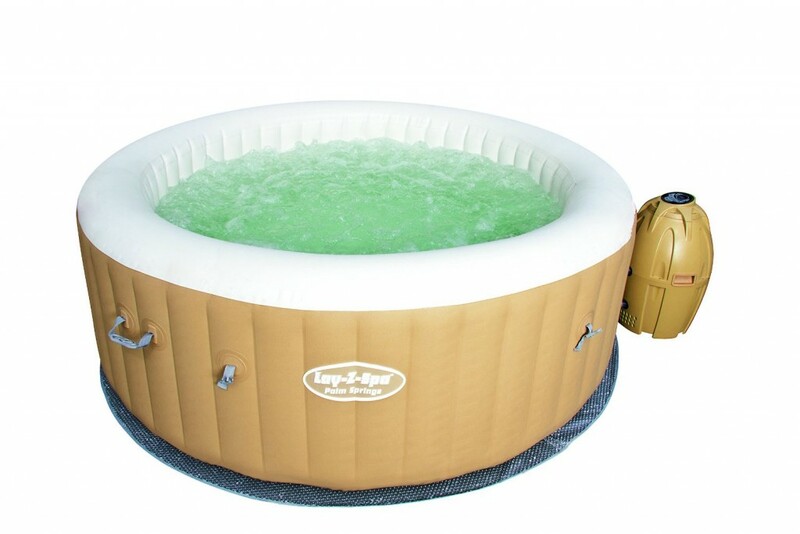 This is one of the most popular inflatable hot tubs on the market and was also the UK’s Bestselling Hot Tub of 2013 and has proved very popular online at Homebase. It will comfortably hold 4 adults and comes with everything you need to get started and can usually be picked up for around £300 as there is usually an offer on this model. Perfect for smaller gardens and couples. 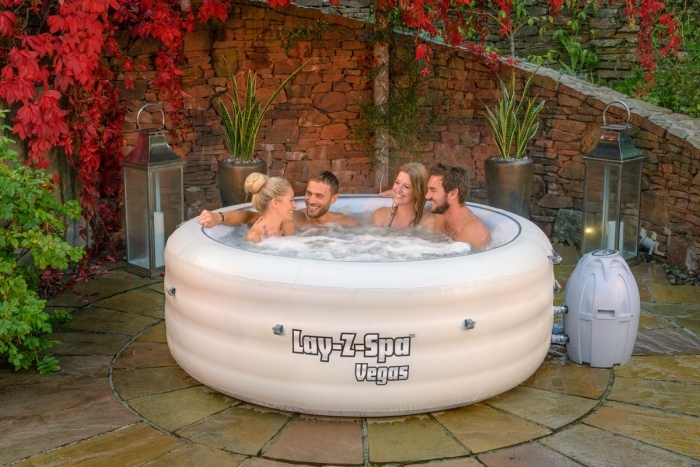 If space is an issue then the Lay-Z-Spa Miami Inflatable Hot Tub Spa is for you, one of the smallest spas on the market at 180cm wide and can still hold 2-4 people just, but it is an ideal model for couples with a small garden and only need one large enough for them both. 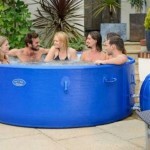 Largest inflatable hot tub available at Homebase and holds up to 8 people. 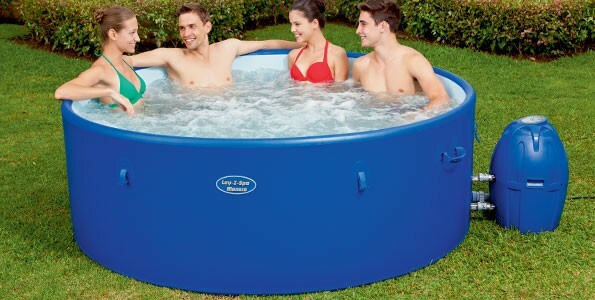 If you want something a little larger that is more suitable and comfortable for your family then this 8 person inflatable hot tub is ideal for you. It has a more robust rigid structure making it ideal for decking to be built around it giving a very luxurious feel. The middle of the range hot tub that will hold 4-6 people. This is an older model from Lay-Z-Spa but can still be picked up, it is slightly larger than the Vega model and smaller than the Monaco. Although not available at the time from Homebase you can pick it up and get it delivered from Amazon.